If you are thinking about using cloud storage for your business, then you could be getting in on one of the biggest trends today. 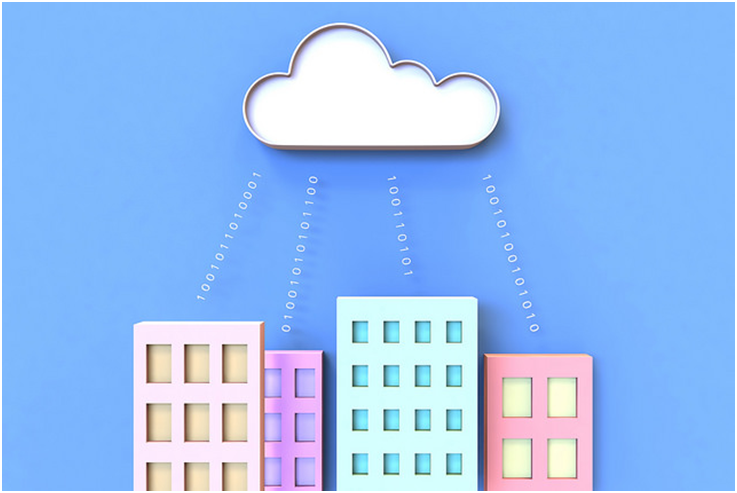 More and more businesses of all sizes are moving to cloud storage because of its convenience, simplicity and scalability. Regarding which cloud storage provider to choose, there are many different service providers, and also some important things to think about when you are selecting which company to trust with your critical business data. Here are some things to consider. This is critical. One of the main reasons to move to the cloud is so that you don't need to worry about hackers, software patches, data security and backups yourself. Your cloud storage provider should handle all of this for you, so it is important to check how they handle things before signing up with any company. Encryption is a feature that many companies use to make sure that your data is safe. Even if a hacker could gain access to the files, they couldn't read them because of the encryption. Check whether your provider encrypts all of the data that you store on their servers. Also verify whether that company's own employees will have access to read your unencrypted files. Does the company guarantee at least 99% uptime? If you have a problem accessing one of your files (or all of them), what kind of technical support do they provide? Is there somebody available 24 x 7 who can immediately troubleshoot and resolve the issue? If you lose access to your data for even a short while, this could be a significant impact to your business, so make sure that the company is going to stand behind their service, and give you speedy technical support if you need it. They should offer at least phone and email support with a quick turnaround, and live chat is also a good option. You don't want to be paying for a lot more storage than you need right now. Instead, make sure that you know how you can expand your storage when you need it, and how much that will cost. It should be a simple matter of calling the company and specifying how much more storage you need, then they just put it online for you and raise your monthly bill accordingly. If you have a promotional offer to start with, you could find that the price increases significantly when you move up to a larger plan. Think about your future needs now, since it will be more difficult to switch providers in the future. Does your provider allow various levels of password protection, such as passwords at a folder, subfolder, or file level? You should be able to do this in order to keep your files secure. People who need to collaborate on a project should be able to have access to a set of files, while they are still password protected to block other people's access. Sharing data is easy with cloud storage, but you don't want to share it with everybody. Reading the user agreement of a data storage provider is boring, and most companies don’t even bother to check it out. If you can’t decide on a provider or have further questions, reading the terms and conditions will clear things up. As boring as that may seem, eventually you’ll stumble upon vital information that could help you make a decision. When the system versions your files, it means that whenever you update the file and save it, it creates a new version or copy of the file, rather than overwriting the old version. The big advantage of this is that if somebody accidentally deletes part of a file, updates it in error, or overwrites it with something else, you can revert to one of the older stored versions. Most cloud storage providers do have some type of file versioning, but they may maintain a limited number of versions, or save them for only a specific amount of time. Keeping your company’s data safe is now easier than ever. You just need to find a reliable provider. Cloud storage solutions are the newest trend; however, not all services are properly secured up in the cloud. Before making a decision, you are advised to check a provider’s references, former customers, complaints, and so on. It’s the best way to know for sure that your company’s information won’t be compromised. Written for SaibaWorld.com. By Davis Miller and Conosco.com!